First Eye Care has an established track record for providing top-quality services to families just like yours. Dr. Gayle Karanges and Dr. Vanessa Nguyen both have extensive training, credentials, skills and expertise in a variety of eye diseases, disorders, diagnostic methods and treatment methods. They combine this skill and knowledge with a compassion and concern for your well-being that makes First Eye Care such a trusted eye care resource for the North Arlington area. Eye and vision exams – Eye and vision exams are critical for detecting any diseases, functional problems or disorders that threaten your vision. If you’re overdue for an exam, come visit us! Contact lens exams – Our contact lens exams involve taking precise eye measurements, discussing your preferences and evaluating your eye health to help you get the ideal contacts for your needs. Contact lens products – We offer a variety of contact lens products to suit specific needs, from hydrogel lenses for dry eyes to extended-wear, daily disposal and rigid gas permeable contacts. Hard to fit contacts – Dry eye, presbyopia, keratoconus and other eye issues can make contact lenses a challenge. We can provide hard to fit contacts for these and other conditions. Glasses and sunglasses – Choose from an extraordinarily wide selection to fashionable designer eyeglasses and sunglasses at our facility. We can make sure you receive optimal vision correction, fit, comfort, UV protection and other features. Sports vision – Athletes need that extra visual acuity that makes all the difference between good performance and great performance. Our sports vision services can help hone your binocular vision, depth perception, visual information processing and other functions. Eye surgery co-management – If you opt for eye surgery to remove cataracts or correct your vision without glasses or contacts, First Eye Care can provide pro-operative and post-operative eye surgery co-management. has an established track record for providing top-quality services to families just like yours. Dr. Gayle Karanges and Dr Vanessa Mvariety of eye diseases, disorders, diagnostic methods and treatment methods. 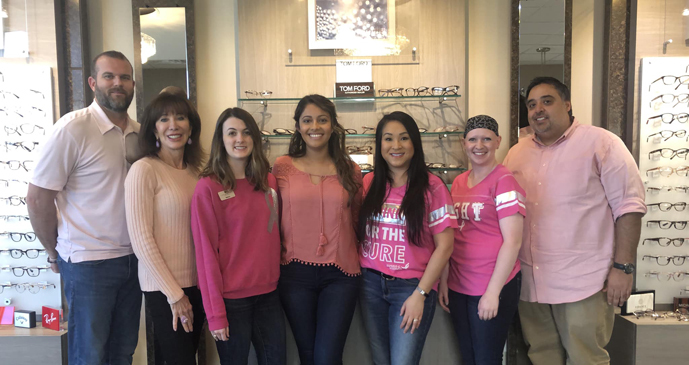 They combine this skill and knowledge with a compassion and concern for your well-being that makes First Eye Care such a trusted eye care resource for the Arlington area.